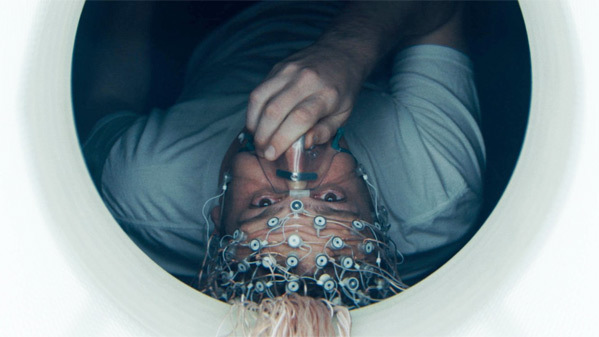 "There goes my heart…" Netflix has debuted a teaser trailer for Charlie McDowell's The Discovery, just a few days before this film premieres at the Sundance Film Festival in Park City, Utah. This film is listed as one of my most anticipated of the festival, and that doesn't change after seeing this teaser trailer, I'm still very excited for it. Jason Segel and Rooney Mara star, along with Robert Redford, in this film about a world where the afterlife is scientifically proven. The two reconnect and look back over their life and choices while the rest of the world struggles with the choice to kill themselves to "get there" or remain alive. This is a fantastic trailer - I love the music, and it sets up some seriously powerful moments. Can't wait to see this. One year after the existence of the afterlife is scientifically verified, millions around the world have ended their own lives in order to "get there". A man and woman fall in love while coming to terms with their own tragic pasts and the true nature of the afterlife. The Discovery is directed by American filmmaker Charlie McDowell, of the acclaimed film The One I Love previously. The screenplay is written by Justin Lader and Charlie McDowell. The film is premiering at the 2017 Sundance Film Festival starting this week - it's one of our Most Anticipated films. Netflix will then be releasing McDowell's The Discovery straight to streaming starting March 31st this spring. Stay tuned for a review from Sundance. Who's interested in seeing this? Wow. That trailer was definitely unnerving....well done! Color me intrigued! Great trailer, this looks really good. Another great thing about it is that we'll only have to wait 2 and a half months to see it! So many Netflix films as of late. Although they are often good, I am a bit afraid they will soon become a USA or TNT situation. Just churning out mediocre, inoffensive content.